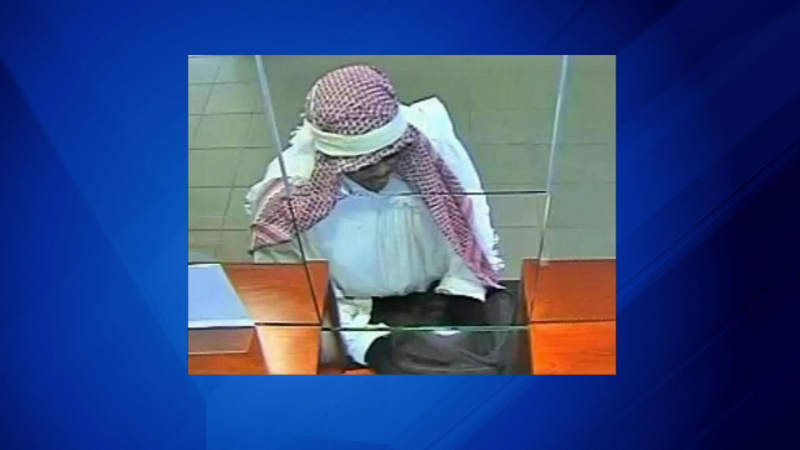 The FBI is requesting help identifying a man suspected in two west suburban bank robberies. OAK PARK, Ill. (WLS) -- The FBI is requesting help identifying a man suspected in two west suburban bank robberies. The latest robbery happened Friday morning at the Byline Bank branch on North Harlem in Oak Park. A surveillance picture shows the suspect wearing a head cloth and sunglasses. Investigators say this same man wore a wig when he robbed another bank in Oak Park August 3.